For about a year, the BBC has been experimenting with virtual reality and its more accessible cousin, 360-degree video. Zillah Watson, editor of BBC research and development lab, has called this a period of “rapid prototyping” to figure out how to crack storytelling and distribution while the market is still young and relatively scattered. Much of the work, mostly 360-degree video with six examples of virtual reality footage created for expensive headsets, lives on YouTube’s 360 player and on BBC Taster, where the company posts experiments with new technologies for audience testing. The most successful in terms of views has been the 360-degree video of the Large Hadron Collider, with nearly 1 million YouTube views. Here’s what the BBC has learned through its VR portfolio, whether that’s from making educational news features or reporting on breaking news. The point of 360-degree video and VR is to take you into the experience, so the camera angle needs to be considered from the outset. It’s clear how important this is from seeing where it doesn’t work. When David Cameron announced there would be an EU referendum, the BBC was there with 360-degree cameras, but they were placed with all the other primary cameras. The result is pretty lackluster. “If you can do it in 16 by 9, then why do it in 360?” points out Watson. The BBC has worked with a number of independent studios and virtual reality production houses. One such is Aardman Animation, known for its stop-motion claymation films starring the characters Wallace and Gromit. “Aardman hadn’t done any VR before, but they brought a sense of style with the artwork and animation that has moved it on from what other people have done previously,” said Watson. 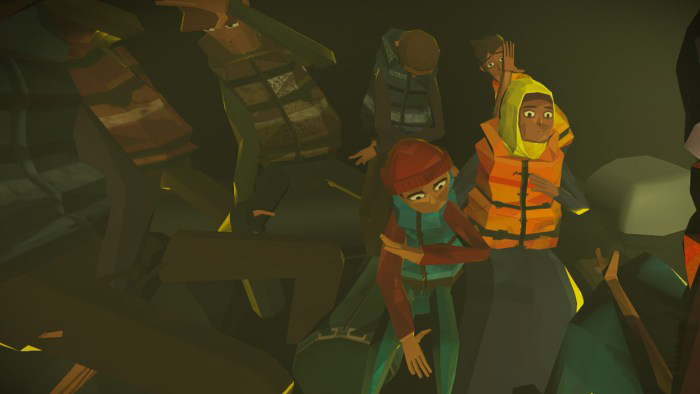 The footage, called “We Wait,” is an animated dramatization of migrants waiting for boats to take them from the beaches of Turkey to Greece, based on BBC interviews with real people. “We learned that you don’t have to necessarily have that lifelike quality for people to feel moved,” said Watson, quoting feedback from viewers and journalists at the Global Editors Network conference in Vienna, who compared the footage to articles and newspaper clippings. Radio-style reporting works better than TV. “Over gesticulation doesn’t work; it needs to have a more conversational and informal tone,” said Watson. Last November, in reporter Matthew Price’s piece in Paris two day after the attacks, the voice-over is much more like a radio presenter, with pauses in between the narrative.